Are you maximizing the ROI of your training investment? Let us show you how we can help you maximize the return on your training investment. Innesskirk facilitators encourage and guide your delegates to change their behavior through reality-based improvement projects to provide real bottom-line results and a higher return on investment for your organization. Our methodology is significantly more effective (higher training ROI) than programs which evaluate the effectiveness of a training program based on delegate memorization and reaction, rather than delegate behavior change and direct business-improvement results. Employee development does not end with an empowering workshop; rather, development must be encouraged and reinforced after the delegates return to the work environment. 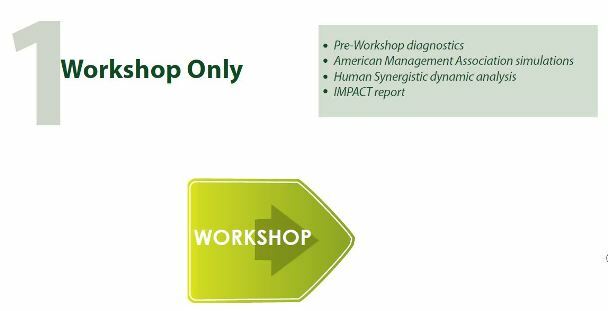 The iIMPACT™development program provides this catalyst to behavioral change. 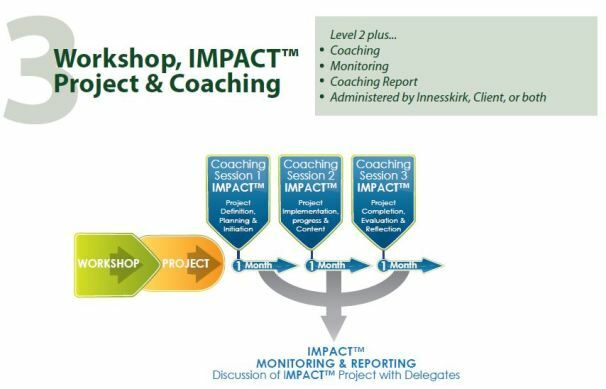 iIMPACT™projects and iIMPACT™ coaching sessions coupled with iIMPACT™ business presentation workshops are used as measurable indicators of successful application and implementation of the workshop content and increase the ROI of the investment made. 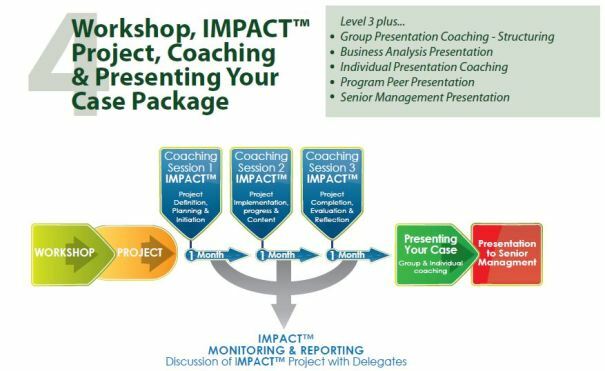 iIMPACT™ development programs create “delegate-consultants”, Ambassadors of Change empowered to provide real and sustainable competitive advantages to their organizations. We can provide examples where the Training ROI is clear and directly related to the new projects and initiatives saving millions for the company involved.